"How many people have heard of Linux?" Russinovich asks, jokingly. Russinovch has a container named "Prickly Wozniak." Take that as it will. People are clapping, and only developers know why. Russinovich exits and Guthrie is back. As to be expected, Guthrie is maintaining the heavy developer-speak here. Talking about the versatility of Azure for a variety of businesses, like Minnesota-based multinational 3M. 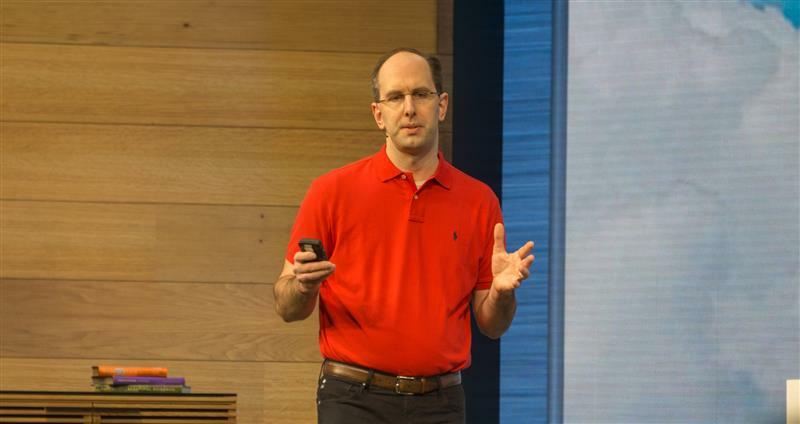 Guthrie is bringing Scott Hanselman, Microsoft's principal program manager, onstage to show off more Azure features. Hanselman is talking about the maker movement, the upswell in do-it-yourself electronics, robotics and other engineering disciplines using micro-computers like the Raspberry Pi and 3D printers to build some amazing new stuff -- really quickly. Hanselman, too, has some code onscreen. This time it's web development, talking about building products that communicate across devices, from websites to tablet applications. ZDNetMicrosoft is combining Azure Websites, Mobile Services and BizTalk Services into a new bundle for developers building all kinds of cross-platform apps. "We've got Web apps, we've got mobile applications, and those are talking to APIs in the back-end. Those API apps can be written by me or written by a third-party," Hanselman says. Now talking about new, so-called "logic" applications. There are a lot of developers here who are watching Hanselman intently and with great interest. Always a good reminder that events like Build are called developers conferences for a reason. "I feel that perhaps I haven't sufficiently blown your mind," Hanselman says. He wrong about that, for some of us. "I'm really, really happy to announce that Visual Studio Code supports Mac, PC, Linux, dozens of languages out of the box," Hanselman says, to cheers from the crowd. 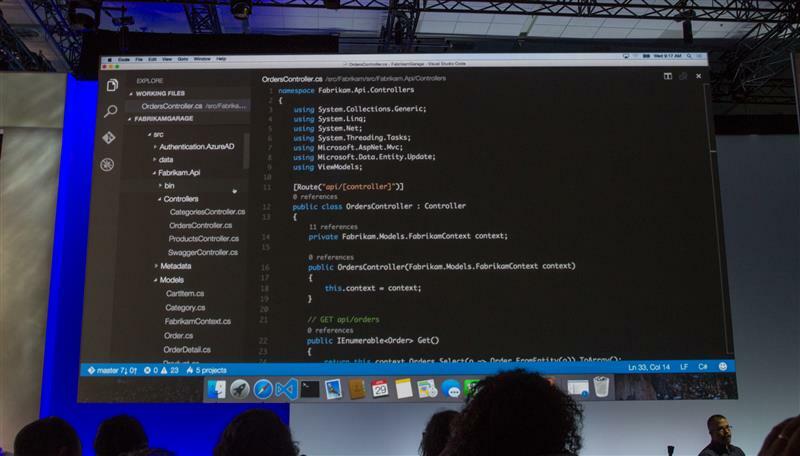 Visual Studio Code, a free cross-platform code editor, is a first for Apple's Mac platform. Hanselamn just a got a notification on his Microsoft Band wristband notifying him that his 3D-printed figure was ready. 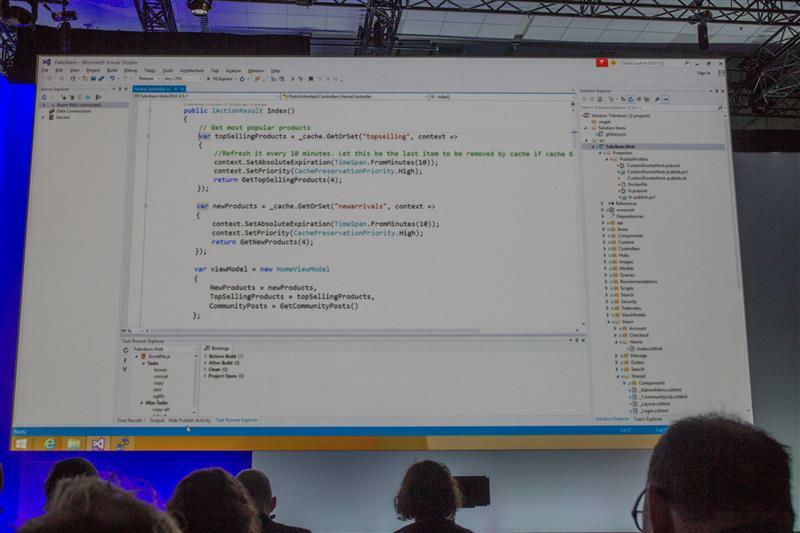 "Our mission with Visual Studio is to provide best-of-class tools for every developer," Guthrie says, who returns to the stage following Hanselman. Visual Studio Code will be available today, Guthrie says. 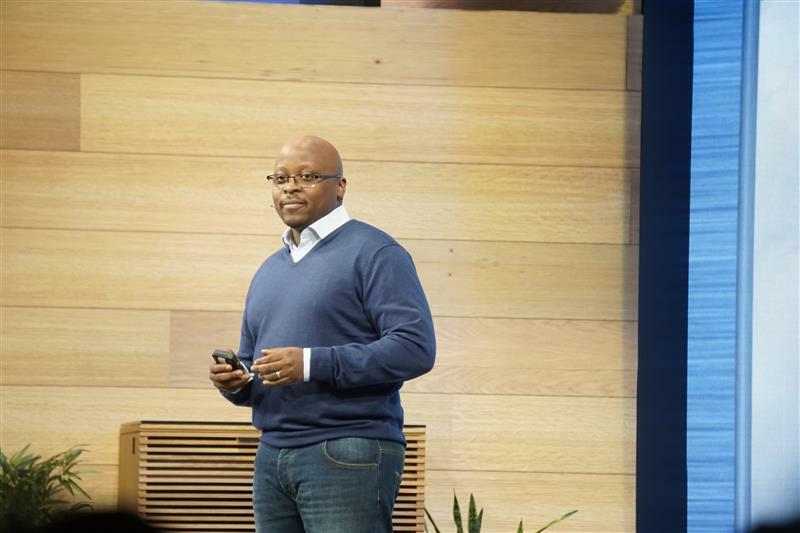 Guthrie is making a pitch for the future of Microsoft, which is increasingly looking to online services -- not one-time licensing -- as the future of selling software. The Azure platform embodies that, and Microsoft's cloud division is the fastest-growing group of businesses at the company. It's also the division Satya Nadella oversaw before he became CEO. Database-as-a-service has perhaps the craziest acronym (DBaaS) of all the as-a-service acronyms. We're seeing a video now about Azure customers. Microsoft featured Esri, a mapping software company, that uses Azure to scale its services in times of disaster relief. We're hitting the 40 percent mark of Microsoft's Build keynote and we're still talking Azure, which shows you how much the company wants to communicate the importance of cloud computing. Lara Rubbelke, Microsoft's principle software development engineer, is onstage now talking about machine learning to help manage databases. "We're in a unique world right now around the expectations people have for smart apps," Guthrie says, taking back the stage. 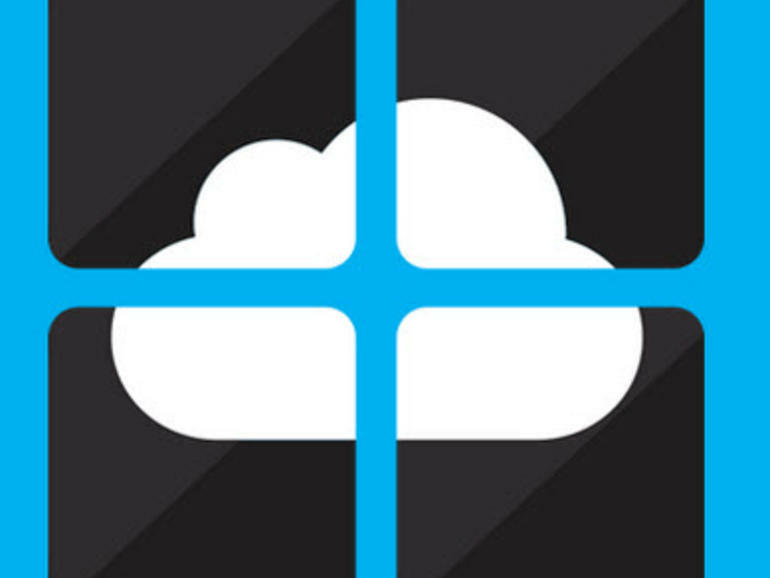 Guthrie says there are two new Azure services launching. The first is SQL Data Warehouse, which can store petabytes of data. We're getting a video -- with a British accent, naturally. "Apparently Apple doesn't have a lock on creamy British voices in event promo videos." --CNET's Ben Fox Rubin. Guthrie wrapping up the SQL Data Warehouse overview, now onto to Internet of Things, a kind of catch-all term for the notion that nearly every device in our lives with be fitted with sensors and connected through a network. 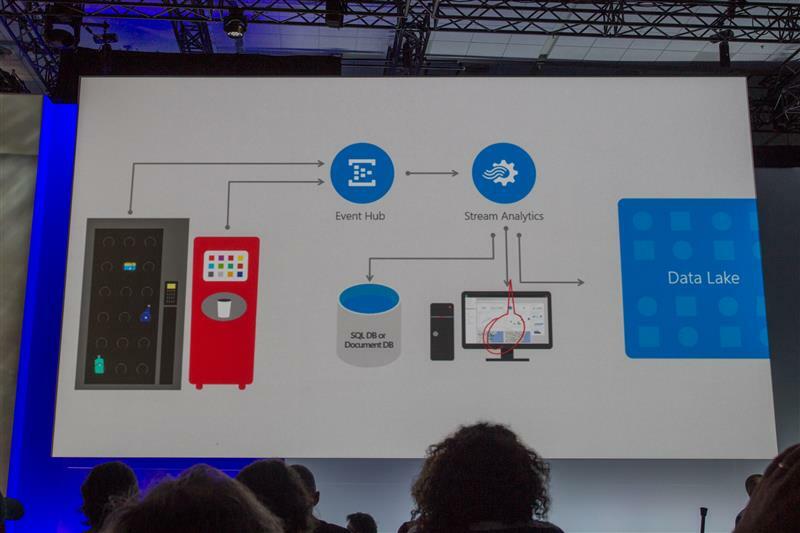 Even NFL video platform Thundercloud runs on Azure, Guthrie says. We're seeing demo images of connected vending machines being able to feed data to databases and analytic services. 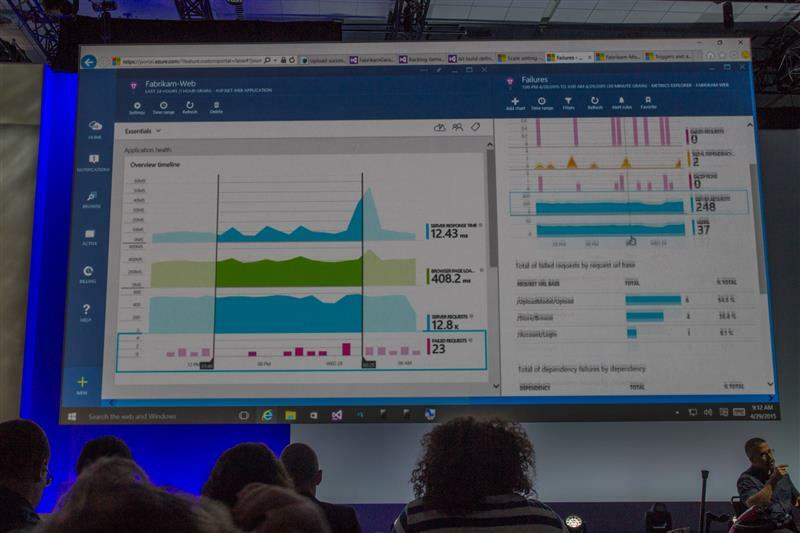 The second of the two Azure announcements: Azure Data Lake service. The service will store and manage infinite data, Guthrie says. "... a multiple of the unit byte for digital information. The prefix exa indicates multiplication by the sixth power of 1000 (1018) in the International System of Units (SI). Therefore one exabyte is one quintillion bytes (short scale)." That's a lot of data, I take it. Mike Bugembe, the chief technology officer of UK-based social giving platform Just Giving, is onstage now talking about using data, machine learning, graph theory and other computing tools. "We needed to make giving personal, so we had to understated what you care about," Bugembe says. "The algorithm understands how to interact with you and specifically make giving more engaging," Bugembe says. 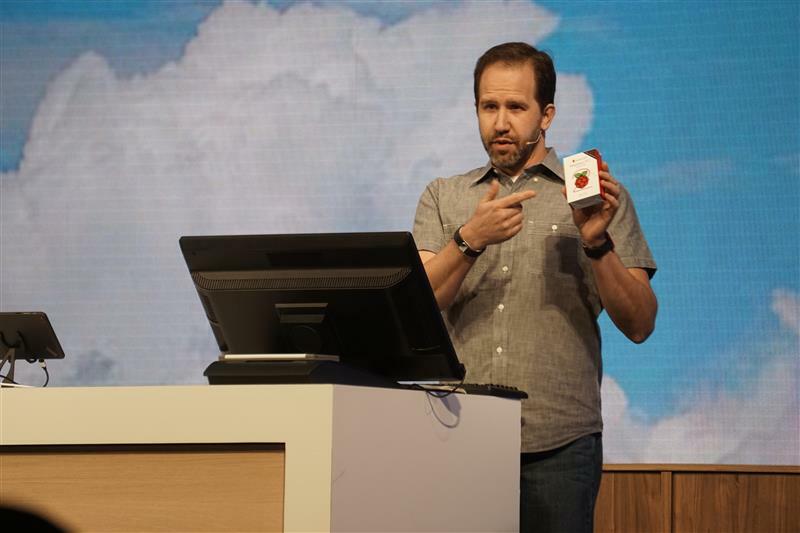 "We couldn't have done this without the Azure platform." Bugembe says JustGiving has a "give graph," constructed of algorithms designed to figure out how you want/like to help others. Guthrie is back -- one last time! -- to bring an end the Azure section of the Build keynote.